The last few years have brought on a lot of change. At this point in my life three years ago I was celebrating the major milestone of both of our children entering into public education. My son had entered Kindergarten and my daughter was in Pre-K at the same public elementary school only a mile down the road. 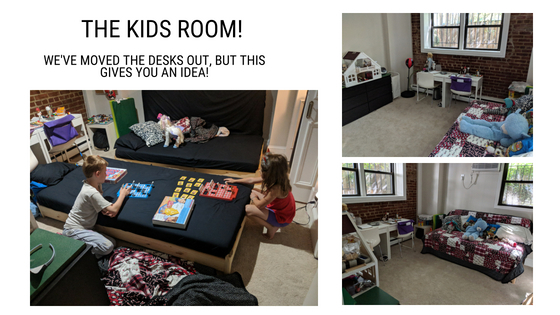 As any dual working home knows, this is a huge financial milestone as it was the first time in our children’s lives that we weren’t paying the exorbitant day care costs for two children. 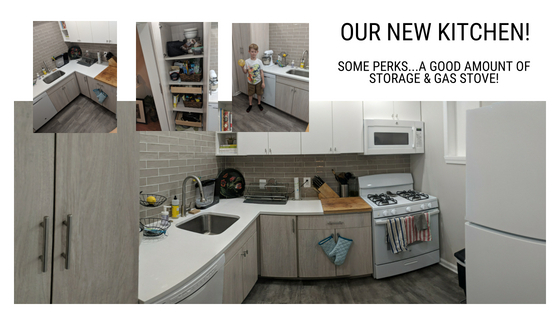 We were also settling into our home and community in new ways – investing more into the friendship with our neighbors and even making some much awaited upgrades to our home. But all this changed suddenly only a few months later when my husband found out that he was being transferred to DC. Rather than fight it, we embraced the adventure. We sold our house and most of the contents inside, packed up a 15 foot moving van, said goodbye to friends and family, and headed north to DC. This was our first time since the age of 3 living outside of Florida. Our family enjoyed the perks of DC and the change in environment, but we never saw it as a long term home for us – rather a springboard – and this was due to the fact that the cost of living was just so high. 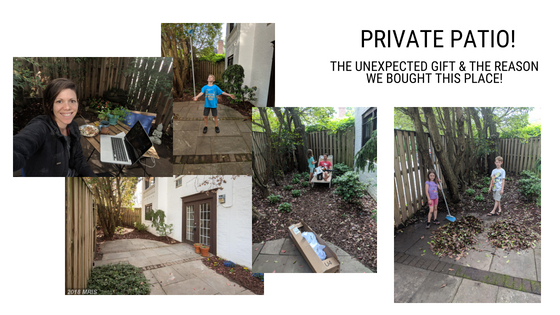 Although we actually loved downsizing and not having a large yard to maintain, we did long for some outdoor space of our own – something we believed was simply impossible at our price point. At the end of our first year, my husband was able to negotiate for remote work capabilities and we decided to stay in the general area. We put a contract on a house in Chesapeake Beach, about 3 hours from DC. But when negotiations went sour he decided to leave the job, which meant releasing the contract for the house and staying put in DC – praying for the right job to come along. After a long summer of unemployment, my husband landed a new job with the Navy. For the past year he has been happy with his new job, but we still questioned the viability of living long term in the District. We began to explore the possibility of working remotely within a few hours of DC, but the more we looked the more overwhelmed we became trying to narrow down the best place to live. We were not sure if we wanted a small home or large, beach house or farm, rural or suburban. As we began to asses our situation we came to the conclusion that we were not ready to buy outside of the DC area, but we still didn’t think it made sense to buy in the District – and we did not want to continue renting at the rate we were renting at. We felt stuck between a rock and a hard place. We knew leaving the area meant relocating the kids to a new school and although we didn’t want to do this more times than needed, we also didn’t want to buy a home in a place we were not familiar with. So, after much debate we started seriously considering moving back to Florida temporarily to help us regenerate our savings. Neither one of us were interested in making Florida our permanent home though. We have fallen in love with seasons and enjoy the driveability to the mountains or various surrounding states for a day trip. That said, it made sense financially, so in January we began to start the discussions around moving back for 1-3 years to help rebuild our next egg. We pumped ourselves up about the decision and even told a few people that this was the current plan. And then things changed yet again. As I discussed in my previous post, we went through some serious loss beginning in January, but the one that changed our decision was the massacre at my high school. I became extremely involved with the development of the Mobilizing MSD organization and the alumni support for March For Our Lives. I had connected and re-connected with so many MSD Alumni and felt enthralled and excited by the work we were doing in DC. I was also head deep into planning the 2018 Murch Auction fundraiser event for the kids’ school. I was in my element – surrounded by friends, working feverously to make this world a better place. So, about midway through the month of March I turned to my husband one evening and asked if we could find a way to stay in DC. He, of course, said yes. Shortly after MFOL we started looking at our finances to figure out if we could afford to buy in the area. My one request was that we had some sort of outside space, which in our budget looked like it limited us to a balcony. My husband and I explored various options of larger one bedrooms with balconies or private entries and two bedrooms with one bath and a larger balcony. The properties available at the time were minimal so we decided that if we needed to, we would simply resign a lease at our apartments and break it early if the right property became available. But the morning of the Auction I saw a Redfin alert on my phone that two properties in the area were having open houses the following day. The first property was a 1/1 with a balcony about 2 blocks from our current apartment at the time. 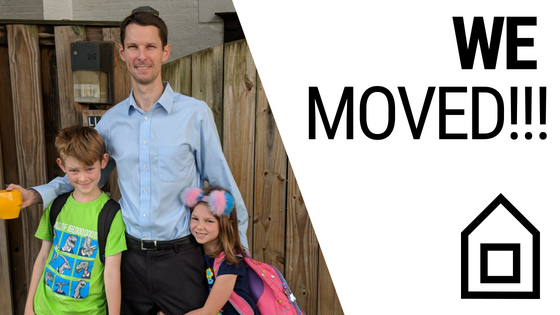 We were exploring the option of a one bedroom as a 1-3 year option with the ability to rent after a few years to help us save more money for a larger property before the kids hit middle school. 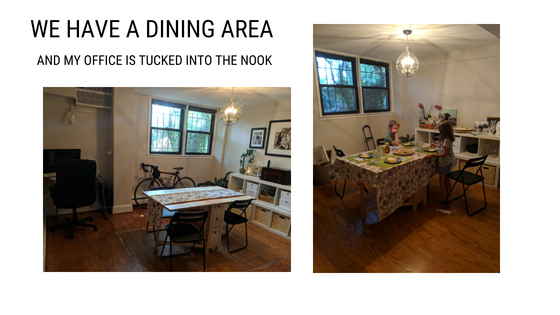 The second property was a 2/1.5 and at the high end of our budget, but it had a patio, which excited us because we did not know it even existed in our area. We decided to go to both open houses. It was pretty obvious after visiting the 1/1 that it wasn’t the healthiest choice for our marriage to be cooped up in such tight quarters. Additionally, the ninth floor balcony was very intimidating – to say the least. The second property however, seemed to check all the boxes. 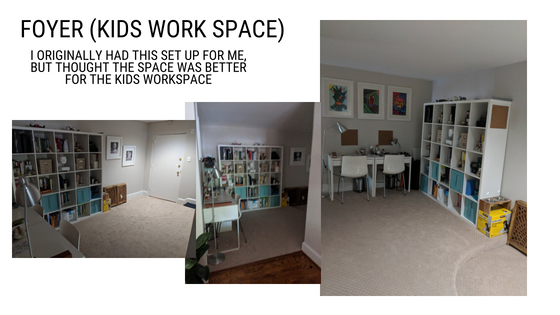 It was 300 sq ft larger than our current apartment, but the layout was a split plan so it made it feel more like a home. The property had just been renovated and so the kitchen and bathrooms were modern and very functional. It was only one block from our apartment, so it was close to the school and on the same block as the local park. AND – it had its own private use patio! I ended up spending almost an hour and a half at open house because we got stuck in a downpour and had to wait until the rain let up to walk home. As I was there I explored the space and imagined us in the home. I also witnessed many excited individuals tour the property as well and felt that there was a good possibility that we would not even be contenders for this space. But we decided we had to try. So that evening, through a friends recommendation, we contacted a realtor from Compass Realty – Katrina Schymik Abjornson. We discussed our options with her and got an offer together with a personal letter to the seller. And then we waited. My husband and I had convinced ourselves that they would not accept our offer. We were sure that this property would go above asking price and perhaps even have a bidding war. This was not something we were financially able to participate in as the property was already at the top of our budget. Despite there being no surprise to the story now, when we got the call that they accepted our offer, we were truly in shock. So much that we didn’t tell anyone besides our parents at first. After having to walk away from our contract the previous year we progressed through this process with bated breath waiting for the other shoe to drop. It never did. Financing went well. The inspection went well. Our realtor was great and we made it to closing without any major hiccups. In fact, the only real trouble we faced was that my husband got really sick the week of closing and we were concerned that he wouldn’t physically be able to get to closing. But alas, we made it – and the 2/1.5 condo with its own patio was ours. We were officially DC homeowners! Washingtonians. That said, a sick husband meant that this girl did the majority of the moving solo. I did have some help from his gracious Uncle who helped me move the major pieces of furniture – thank goodness – and my parents, who stayed with us the first week in our new home, helped me clean out the old apartment – which was much appreciated! In the end, we got the job done and we are now pretty settled in our new space. It feels nice to be planting roots and not questioning on a regular basis whether we are staying or going. I have committed to being the HSA Co-President (our school’s version of the PTA) for the upcoming school year and look forward to our kids transitioning into the newly remodeled school this year! We have already hosted several guests in our new space and look forward to continuing to host friends and family traveling to DC. The patio has been such a blessing as it gives us all some private outdoor space by just opening our door. 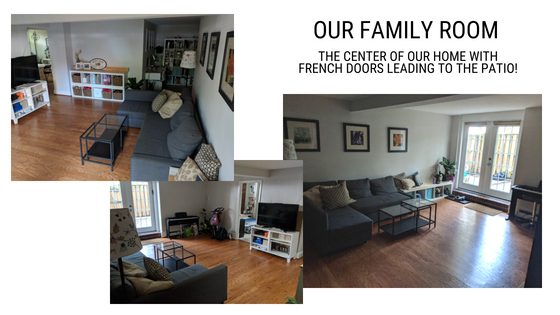 There is still some moving of furniture and adjusting of stuff that we will do as we figure out how to best utilize the space, but ultimately we are home – and it feels good. 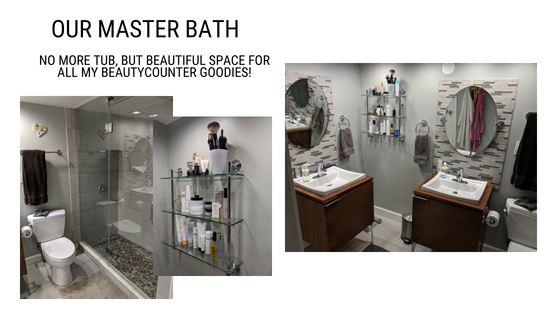 Here is a quick little peak at our space…Enjoy! It is AMAZING!!! I can’t even believe you found that space in DC! Sooo meant to be! So very happy for you, too! Thank you sooo much!!! I know, it’s incredible! I feel sooo lucky. If you ever want to come stay, you know you are more than welcome!! !